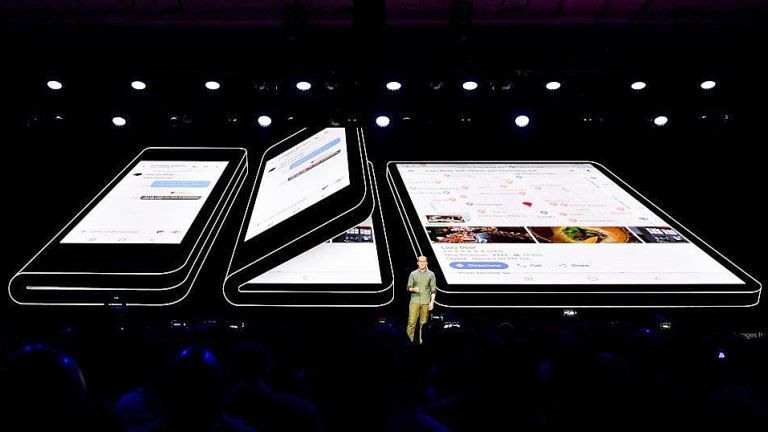 The Samsung Galaxy F, aka Galaxy X, was teased at the company's developer conference and now a price for the new type of handset has leaked – and it makes the iPhone XS look affordable. The price leaked on the Korea Times where its analyst sources claimed the new category of handset would mean paying a premium for the limited run. As a result the price is expected to be around the 2 million Korean won mark, which is about £1,365 – and that's before taxes. The source, Kim Jang-yeol, head of research at Golden Bridge Investment, also suggested that we can expect a 7.3-inch OLED screen when folded out and a 4.5-inch display when closed. These figures do match up with what Samsung has now shown off. Samsung should launch the phone early in 2019 with a view to putting it on sale right away. Samsung has been delaying the launch repeatedly so we're not expecting a solid release date for a while yet. Plenty of time to refine the handset and bring the price down a touch then.